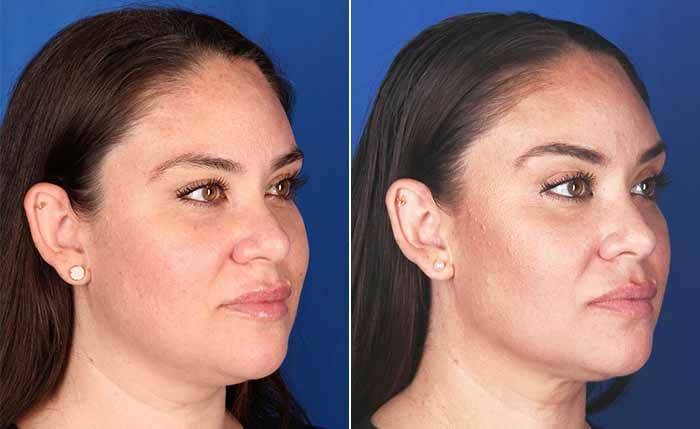 Palm Springs residents – spend your lunch hour with us on Friday, April 26 and learn about a wrinkle smoothing device called Profound. Join Contour Dermatology at our Palm Springs office for an exciting presentation about PROFOUND – an amazing device that delivers great results for wrinkle reduction and skin tightening. We’ll serve lunch at 11:30 a.m. with the presentation beginning at 11:45 a.m. We’ll also have some exciting raffle prizes and everyone can enjoy 40% off Profound this day, an amazing value. Please bring a $10 donation to benefit The Living Desert. Profound is an award-winning treatment. It won the 2018 “New Treatment of the Year” winner at the My Face/My Body Awards. Reservations are required. This event is held at our Palm Springs Office. FREE VALET PARKING! Please call us at (760) 423-4000 or use the convenient RSVP button above. Must be present at the event to receive special pricing offer. One treatment of Profound increases your own collagen, elastin and hyaluronic acid production which means an overall more youthful appearance. Profound can be performed in the face and neck for rejuvenation as well as arms and legs to improve creepy skin. Check out some before and after photos. An investment in this non-surgical procedure now that stimulates elastin and collagen and hyaluronic acid could keep you looking young for years! * Profound has a very high response rate for treating wrinkles and skin laxity. Profound has a very high response rate to treating wrinkles and skin laxity. Profound was named the “New Treatment of the Year” in 2018 year by the Global Aesthetic Awards. Profound can also be performed on the body – especially on areas of crepey skin, such as above the knees, arms, abdomen, jawline, neck and more. It also improves cellulite. As we get older, our skin begins to lose some of its vitality, becoming more lose, wrinkled, and less full than it once was. This is due to the increase of catabolic activity, which simply means that the skin has begun to break down faster than it can naturally rejuvenate. Profound Lift uses micro-needle technology, to transmit radio frequency energy, at exactly the right depth, and temperature, to stimulate collagen, elastin, and hyaluronic acid production. Collagen is a protein that naturally occurs in the body. In fact, nearly a third of all the protein in your body is collagen. It is responsible for maintaining the healthy structure of your bones, connective tissue, and skin. It is a very strong protein, unfortunately it is vulnerable to several things, such as aging, smoking, and the sun’s harsh UV rays. Collagen sets up a framework for new cells to attach and grow. Without this framework, the skin becomes weak, and unable to hold its once healthy form. By stimulating the growth of your body’s own collagen, Profound is able to bring back that essential framework your skin needs to be healthy. Elastin is also a protein found naturally in you body. However, it is a little different from collagen. Whereas collagen provides the strong, rigid framework for healthy cells to grow, elastin is a flexible protein, which, as the name suggests, is very elastic. The properties of elastin, allow it to flex, and quickly return to its normal state. consider it like a chain of proteins that form a rubber band for the tissues in your body. Both collagen, and elastin combine to make your body’s tissues strong, yet flexible. As we age, time takes its toll on elastin, the sun breaks it down, and life’s stresses wear it down even further. This results in sagging, and wrinkles. Thankfully, the same RF process that stimulates collagen, also stimulates elastin. When Profound is used to boost elastin production, the skin is able to regain its lost plasticity. This results in lifting, and tightening of the skin, which reduces wrinkles, and sagging. Hyaluronic acid (HA) is usually found naturally, and abundantly within the skin. HA helps keep the skin looking bright and healthy. It keeps collagen present in the skin, and aids elastin in its job of keeping the skin flexible. The special thing about HA, is its ability to retain water, and thus provide the skin cells, collagen, and elastin with the vital moisture they need, to remain healthy. By stimulating HA production, Profound gives the skin a lasting boost in health. The skin becomes healthier, more elastic, brighter, and enables the skin to retain the moisture it needs to remain healthy. Profound uses “micro-needle” technology to precisely target the areas needing stimulation. Advanced sensors within the electrode array are used to provide the physician with all the information they need to treat the patient with precision and maximum effectiveness. The sensored array constantly monitors and sends feedback to the treating physician, so that every patient has the best treatment for their individual needs. This level of control means that every patient gets a custom treatment, that maximizes safety, results, and healing time. Patients will experience full results within about 2 months, and visual results usually continue for the next 6-12 months. Any additional information that you want to send us?